Normal cell function relies on coordinated communication between all the different parts of the cell. 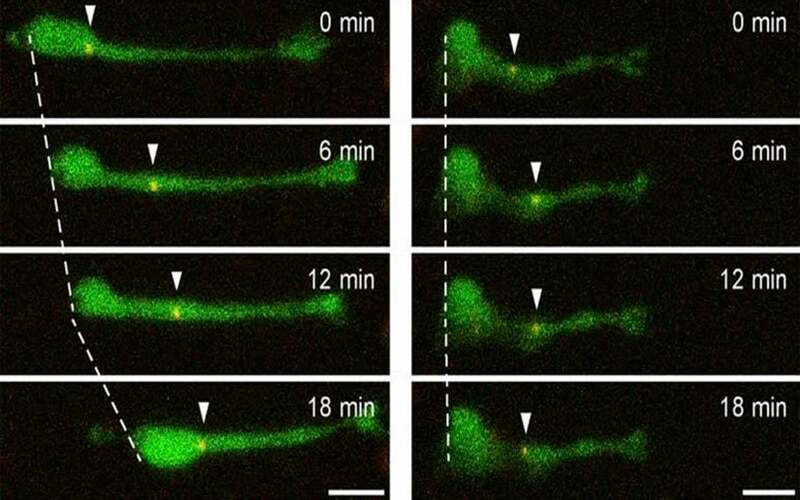 These communication signals control what a cell does, what shape it takes, and how it interacts with other cells. I study these signaling networks to understand how they guard against cancer and neurological disorders. 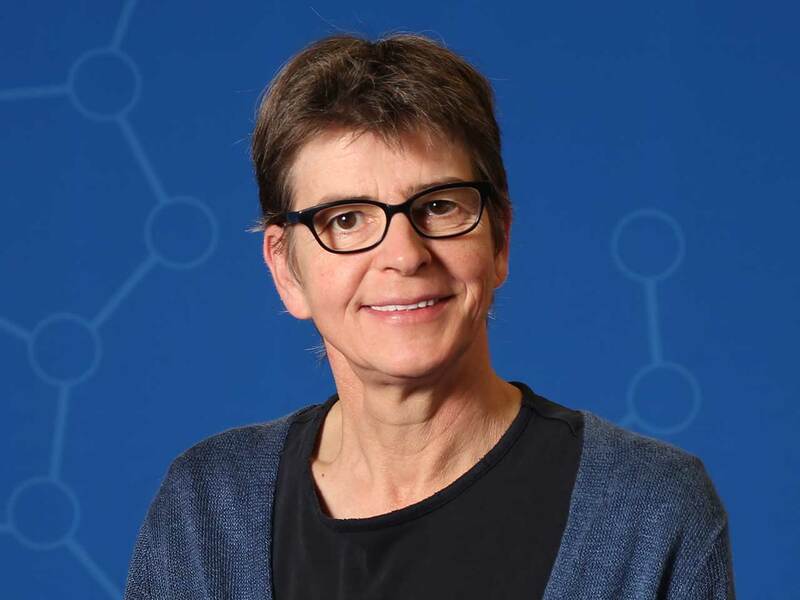 Linda Van Aelst’s lab studies how aberrations in intracellular signaling involving enzymes called small GTPases can result in disease. They are particularly interested in Ras and Rho GTPases, which help control cellular growth, differentiation, and morphogenesis. Alterations affecting Ras and Rho functions are involved in cancer and various neurodevelopmental disorders. 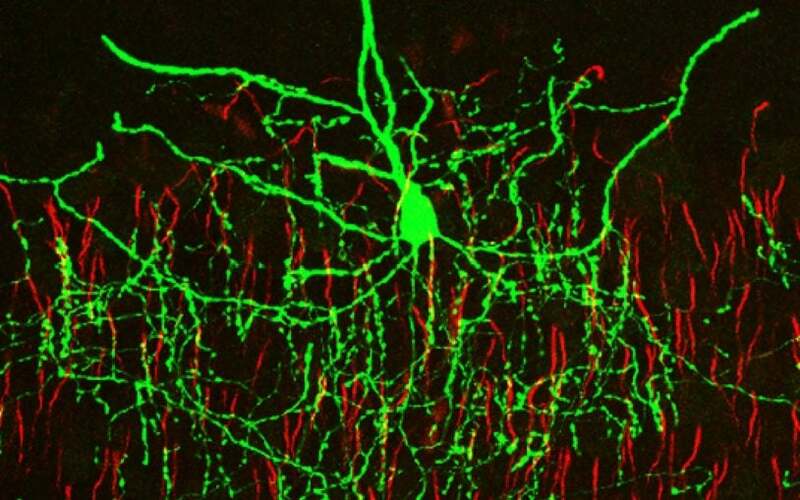 Van Aelst’s team has extended its prior study of mutations in a Rho-linked gene called oligophrenin-1 (OPHN1), part of an effort to connect the genetic abnormalities associated with mental retardation to biological processes that establish and modify the function of neuronal circuits. 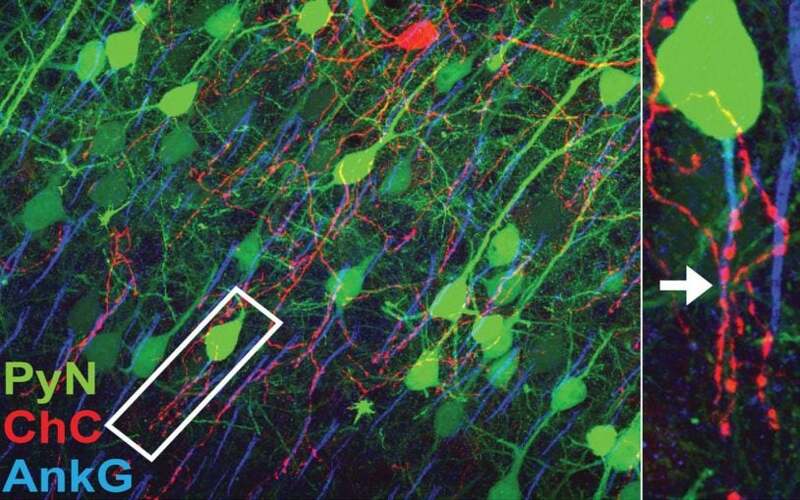 In addition to a role for OPHN1 in activity-driven glutamatergic synapse development, lab members have obtained evidence that OPHN1 has a critical role in mediating mGluR-LTD (long-term depression), a form of long-term synaptic plasticity, in CA1 hippocampal neurons. Their findings provide novel insight not only into the mechanism and function of mGluR-dependent LTD, but also into the cellular basis by which mutations in OPHN1 could contribute to the cognitive deficits observed in patients. Defects in cortical neurogenesis have been associated with cerebral malformations and disorders of cortical organization. 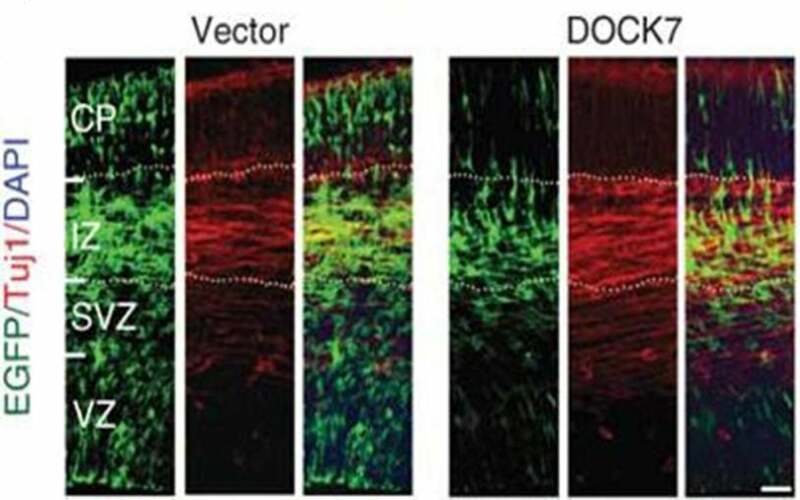 The Van Aelst team discovered that interfering with the function of the Rho activator DOCK7 in neuronal progenitors in embryonic cerebral cortices results in an increase in the number of proliferating neuronal progenitors and defects in the genesis of neurons. In an extension of these studies, the Van Aelst team this year showed that DOCK7 has a central regulatory role in the process that determines how and when a radial glial cell progenitor “decides” to either proliferate, i.e., make more progenitor cells like itself, or give rise to cells that will mature, or “differentiate,” into pyramidal neurons. 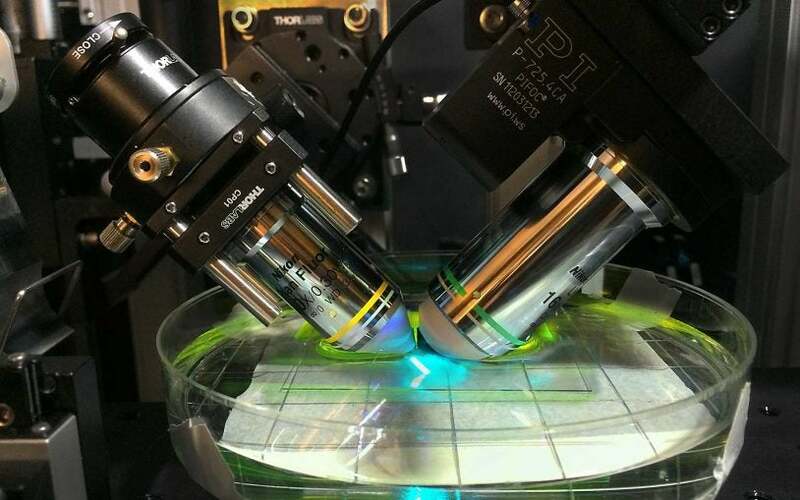 These lines of research provide novel insight into mechanisms that coordinate the maintenance of the neural progenitor pool and neurogenesis. Yang, Y. T. and Wang, C. L. and Van Aelst, L. (2012) DOCK7 interacts with TACC3 to regulate interkinetic nuclear migration and cortical neurogenesis. Nature Neuroscience, 15(9) pp. 1201-10. 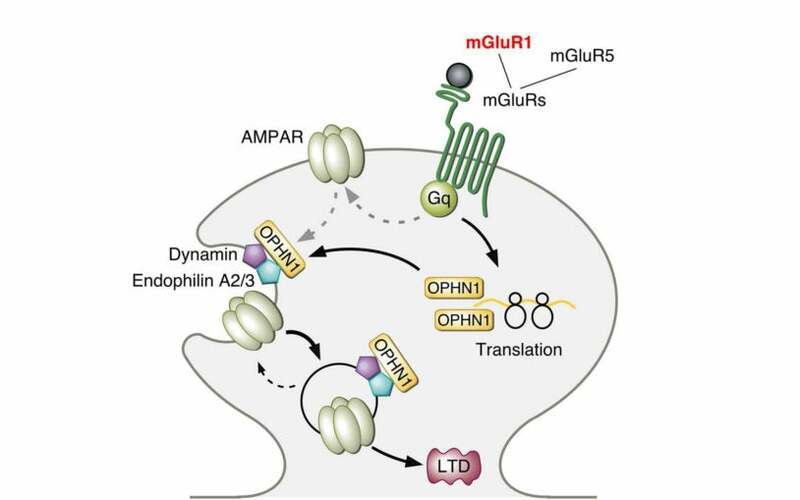 Nadif Kasri, N. and Nakano-Kobayashi, A. and Van Aelst, L. (2011) Rapid Synthesis of the X-Linked Mental Retardation Protein OPHN1 Mediates mGluR-Dependent LTD through Interaction with the Endocytic Machinery. Neuron, 72(2) pp. 300-315. Janas, J. A. and Van Aelst, L. (2011) Oncogenic tyrosine kinases target Dok-1 for ubiquitin-mediated proteasomal degradation to promote cell transformation. Molecular and Cellular Biology, 31(13) pp. 2552-2565. Nakano-Kobayashi, A. and Nadif Kasri, N. and Newey, S. E. and Van Aelst, L. (2009) The Rho-Linked Mental Retardation Protein OPHN1 Controls Synaptic Vesicle Endocytosis via Endophilin A1. Curr Biol, 19(13) pp. 1133-1139 . Watabe-Uchida, M. and John, K. A. and Janas, J. A. and Newey, S. E. and Van Aelst, L. (2006) The Rac activator DOCK7 regulates neuronal polarity through local phosphorylation of stathmin/Op18. Neuron, 51(6) pp. 727-39.